This stunning dish is easy enough to make on a weeknight yet tastes so good that you’ll want to flaunt it for company, either as a side dish or as the main attraction. 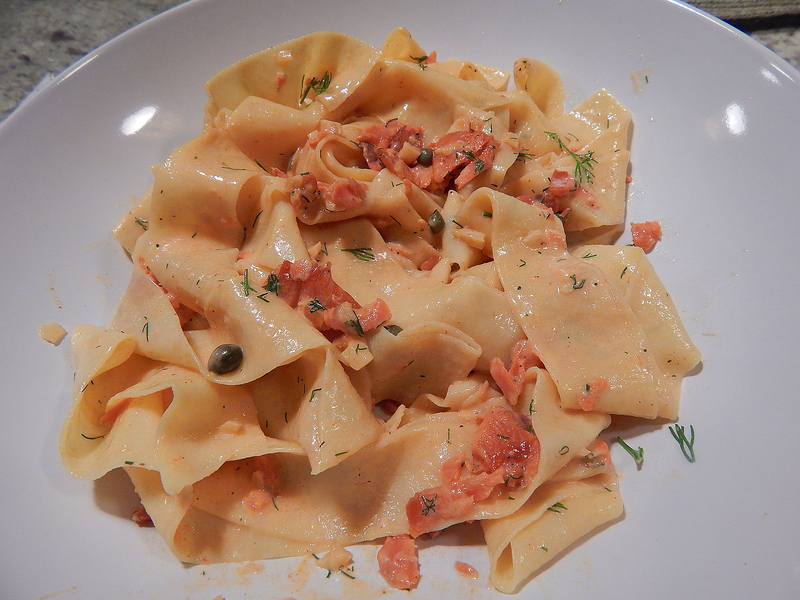 It feels fancy but is super easy to make with minimal prep time; and the sauce compliments the smoked salmon extremely well. Dill has held the status of least favorite herb with me for decades. However, after using it numerous times over the last few months, it’s starting to grow on me. 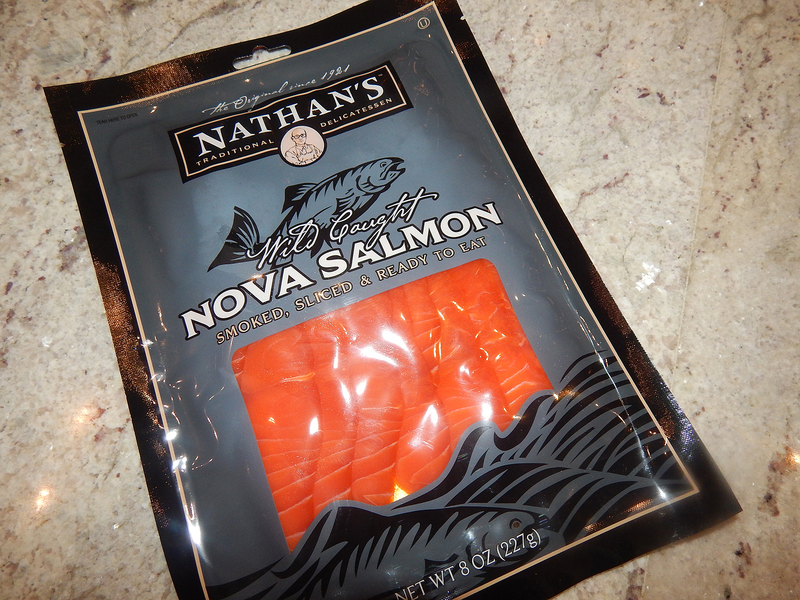 And in this recipe you just can’t omit it because it’s an integral part of the overall flavor. Plus it adds a pleasant dash of color! Bring a large pot of well-salted water to a boil. Cook the pasta according to package directions, drain, and transfer to a large bowl. 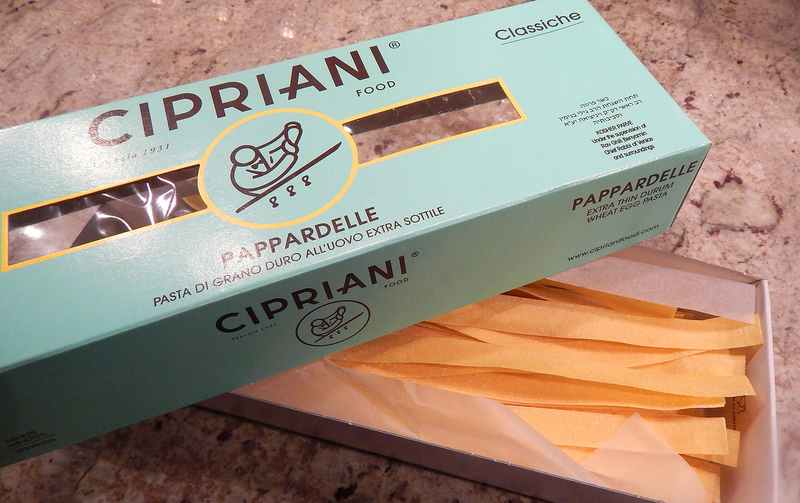 Since the brand of pasta we cooked, Cipriani, only took four minutes, it was done too soon, so be sure to coordinate the pasta and step number 3 to finish at the same time. Meanwhile, heat the oil in a 12-inch skillet over medium-high heat until shimmering hot. Add the shallot, reduce the heat to medium, and cook, stirring, until golden brown, about 2 minutes. Add the salmon and cook, gently stirring, until opaque, about 2 minutes. 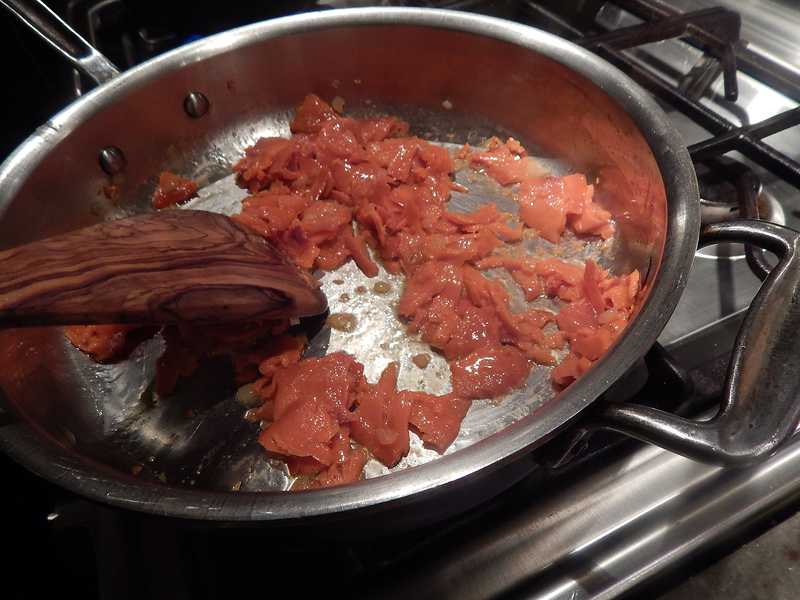 Add the garlic and cook, stirring gently, until fragrant, about 20 seconds (the salmon will begin to break up). Add the wine and cook until evaporated, about 30 seconds. Stir in the tomato paste and then the cream and cook until slightly thickened, 3 to 4 minutes. Stir in the capers, 1 Tbs. of the chopped dill, and the lemon zest. Add the pasta and toss to coat. Serve garnished with the remaining dill and a few grinds of black pepper. 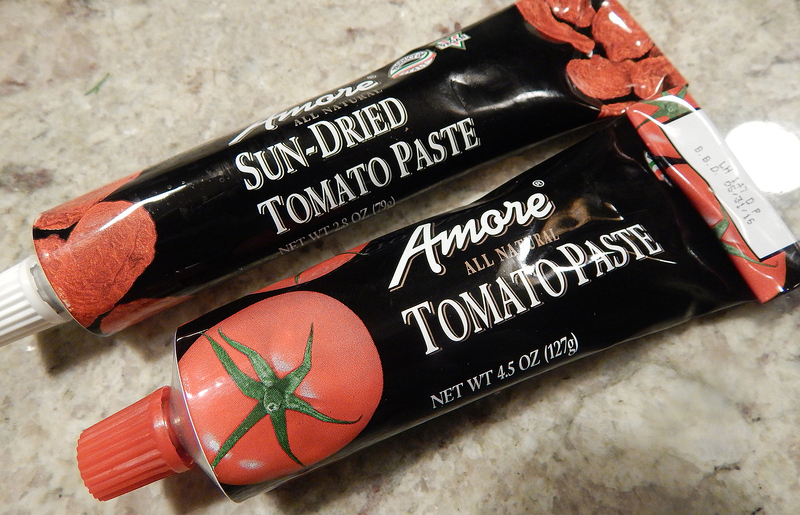 OUR TIP: Often recipes call for just a tablespoon or two of tomato paste (or other condiments like lemongrass), so instead of opening a can and probably wasting the rest, buy a tube and squeeze out only what you need. The remainder will keep in the frig for months. 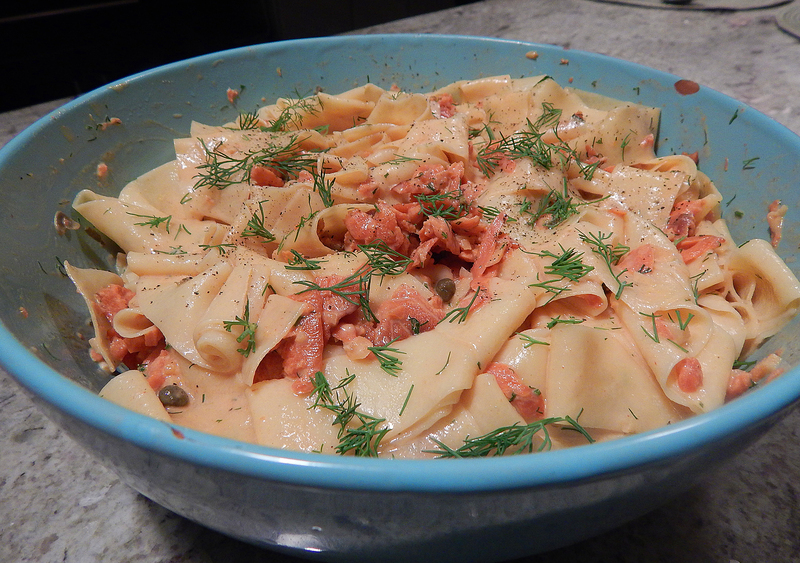 Hi ~ Thank you for such a lovely review of my recipe – I’m thrilled you like it so much! Happy Holidays! My pleasure Ronne! My husband and I are avid followers of Finecooking.com and have made many of your recipes. Happy Holidays to you!